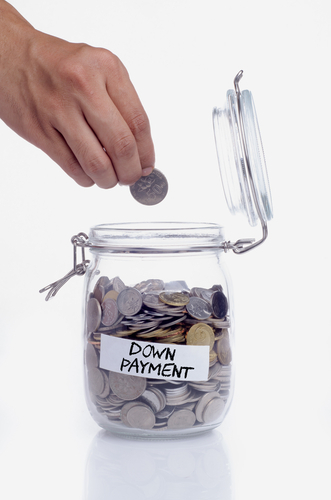 The MDPFCL (or ‘minimum down payment for conventional loan’, in full) is a major issue for potential home owners interested in applying for a loan. This especially applies to first-time home buyers, who are often still burdened by student debt, as well as to any household in the low- to moderate income earning tier. As many in the aforementioned categories already know, the FHA, VA, and USDA are some of the government agencies that offer low- and no-down payment home loans; however, the snag with such mortgages is that they often come with complicated and expensive mortgage insurance plans. Meanwhile, a conventional mortgage might have you shelling out more at first, but could turn out the more flexible, wiser choice down the line. This article analyzes MDPFCL and PMI, insurance and down payments, how these factors affect each other, and how they ultimately play into one’s decision to opt for a specific mortgage. FHA vs conventional mortgages: Which one is best? In early 2015, the Obama administration announced it was shaving .5 percentage points off FHA mortgage premiums, in order to encourage the purchase of as many as a quarter million homes in the United States. This struck just about everyone interested in buying a home or refinancing a mortgage as good news, since the FHA had increased its premiums several times over the past few years; meanwhile, Fannie Mae and Freddie Mac had upped their game, with lower rates and even lower down payments. Got bad credit and not that much money saved up for the down payment? Go with the FHA. Still strapped on savings, but with a better score? Consider going the conventional route. To expand on the previous point, when your FICO credit rating is in the 620 to 719 point range and you can only afford to pay up to 5 percent for the down payment, the FHA will charge you comparatively less for interest, principal, and insurance. However, even with the same 5 percent down payment, the situation shifts when your credit score is in the 729 to 759 point tier: a conventional mortgage, eligible for purchase by Fannie Mae and Freddie Mac, will cost you less in terms of overall monthly payments. As a general rule of thumb, the higher your score, the lower your monthly amount due. On the down side, private mortgage insurance will end up costing you more down the line, if you go with the FHA’s 3.5 percent down payment loan. That’s because these mortgages come with upfront insurance premium of 1.75 percent of the loan amount. Add to this the annual MIP, which does not go away unless you refinance once you reach an LTV of 78 percent or less – but bear in mind that this might take several years. So are there any other options, insofar as low MDPFCL goes? We won’t come right out and advise you to pay mortgage with credit card accounts, but if you cover certain initial mortgage costs with a low interest credit card, you might be shaving up to a couple thousand dollars on insurance. Then there’s TD Bank’s Right Step program, which boasts the typically low TD Bank mortgage rates, plus no PMI and a 3 percent down payment. Also, consider Fannie Mae and Freddie Mac’s ‘revamped’ Conventional 97, which is now a 3 percent down program (though it only covers loans up to $417,000).